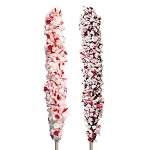 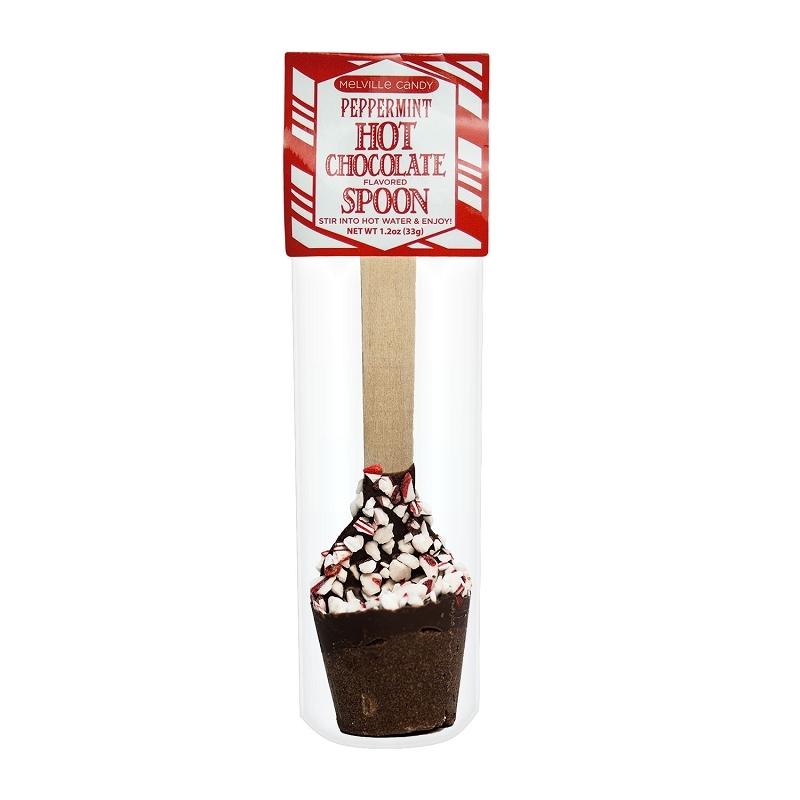 Our Peppermint Hot Chocolate Spoons come with 16 spoons created with chocolate and cocoa powder topped with crushed peppermint on a wooden spoon handle in a caddy display. 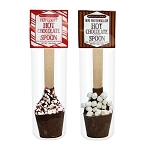 Each spoon makes 1 glass of hot cocoa; simply place in hot water or milk and stir until dissolved. 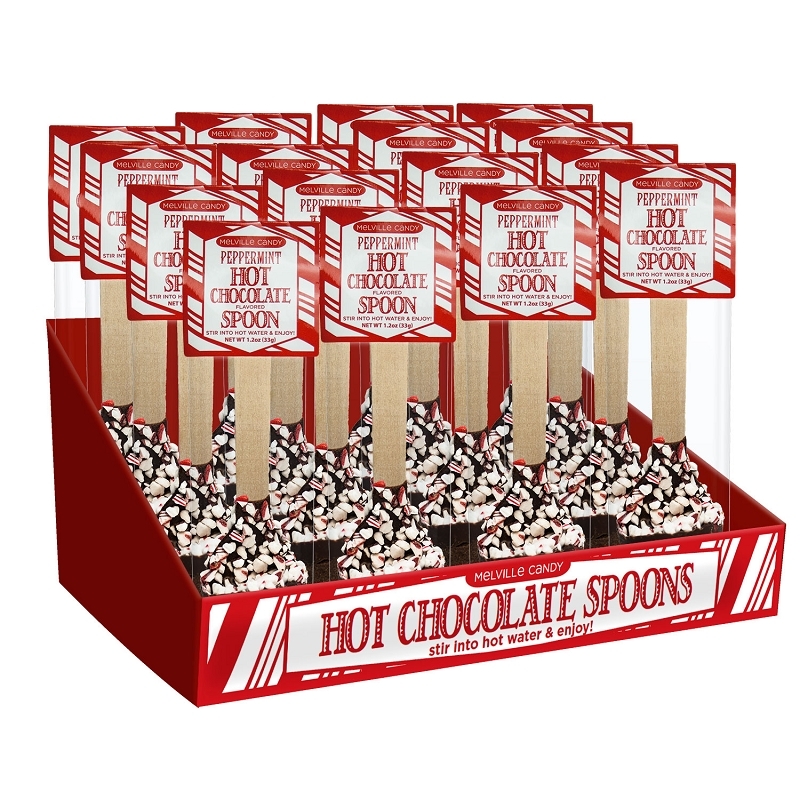 Perfect enjoying a simple and mess-free hot cocoa experience! 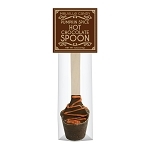 Each spoon is hand-made to order; slight variations will occur.